Do you like my row of hearts? They are super quick & easy to make, you'll wonder why you haven't made some yourself. 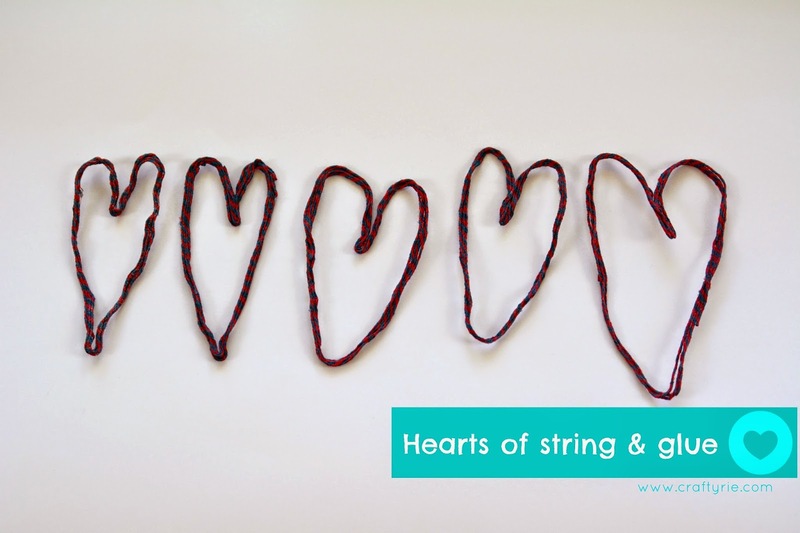 All you need is some string or yarn & glue. Oh, you'll also need scissors to cut the string and maybe something plastic to put on the table so they don't stick to your tablecloth! I didn't use any fancy glue, in fact I raided my sons art stash & used his kids glue (Clag). Just cut the string to length - there is no exact length, I cut the string to about arms length then I loosely looped them into a circle then covered them in glue. I then placed the circle onto the plastic covered table, pinched the end to make a point (the bottom of the heart) then stuck two fingers in the end & pushed up to form the top of the heart. Now when they are dry you can stick them to cards or the wall. You could string them together to make a garland. Do what ever you wish with them. You are so clever, Rie. 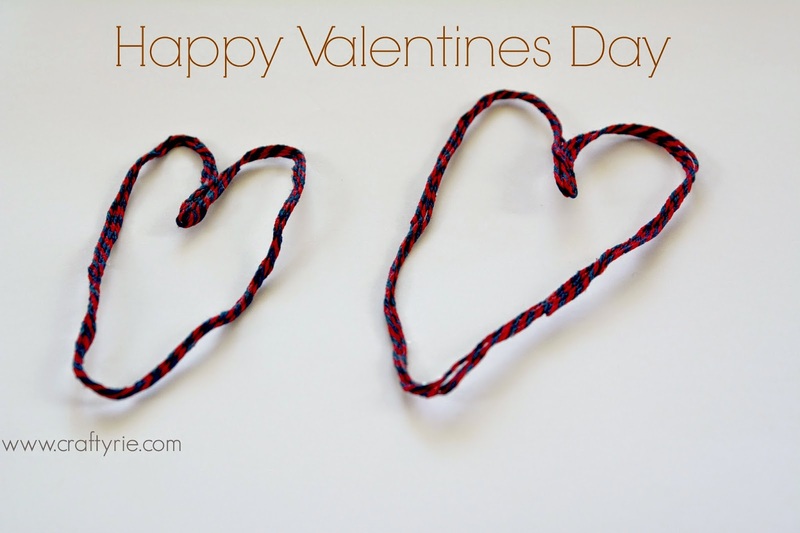 I absolutely love these hearts and we might.just try making some tomorrow. Thanks for the tutorial! Super easy, the hardest thing was finding where the kids hid the glue! ...toddler friendly too, you should get your kiddies to give them a go!